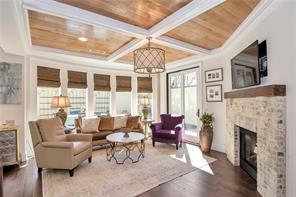 Woodstock GA European Style Homes for Sale. Find Woodstock GA European style homes for sale – European homes for sale Woodstock GA.
Woodstock Georgia European Homes for Sale. Search Woodstock MLS listings for European style homes currently listed for sale in Cherokee County GA. Not all homes are the same, and neither are the tastes and needs of many home buyers. That is we can assist you while you in your search for just the right home for you and your needs. For more information about buying or selling a European style home in Cherokee County, or Woodstock GA please feel feel to contact us. It will be our pleasure to assist you. Remember, “Buying or selling call Jim & Ellen!” We serve home buyers and sellers in North Atlanta since 1993! We are an Atlanta husband and wife real estate team! 1) 324 Gray Shingle Lane, Woodstock, GA 30189, Cherokee Co.
2) 324 Gray Shingle Ln, Woodstock, GA 30189, Cherokee Co.
3) 2609 Gladstone Ter, Woodstock, GA 30189-6881, Cherokee Co.
4) 410 Serenity Ln, Woodstock, GA 30188, Cherokee Co.
5) 4213 Osprey Pte, Woodstock, GA 30189, Cherokee Co.
6) 414 Serenity Ln, Woodstock, GA 30188-5746, Cherokee Co.
7) 513 Rocking Porch Way, Woodstock, GA 30189-3773, Cherokee Co.
8) 300 Serenity Way, Woodstock, GA 30188-1362, Cherokee Co.
9) 427 Serenity Ln, Woodstock, GA 30188-1362, Cherokee Co.
10) 206 Millstone Pkwy, Woodstock, GA 30188, Cherokee Co.